Lieutenant Gabriel Steele knew Lindy wasn't expecting him to walk out of the air lock and back into her life, but he didn't think he'd get his nose broken. As an intelligence agent for the Alliance, Gabriel has spent his career in deep cover, his sense of self crushed under layers of deceitstarting with the lies he had to tell Lindy years ago when he left her. A fresh start is all he wants, but the Alliance and his secret orders have already jeopardized that. 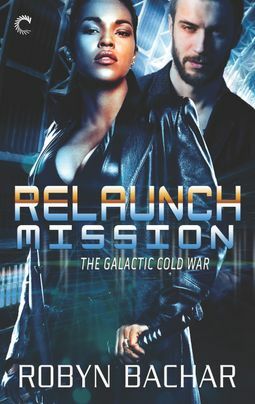 When an infamous pirate and friend of Lindy and her crew is reported alive and in possession of knowledge of a powerful Soviet weapon, finding her before the enemy does is paramount. But Gabriel can't do it without regaining Lindy's trustand hopefully rekindling what he once sacrificed in the name of duty.